Some educators may view diagrams, pictures, and charts as nice add-on tools for students who are visual thinkers. But Steve Moline sees visual literacy as fundamental to learning and to what it means to be human. In Moline's view, we are all bilingual. Our second language, which we do not speak but which we read and write every day, is visual. From reading maps to decoding icons to using concept webs, visual literacy is critical to success in today's world. 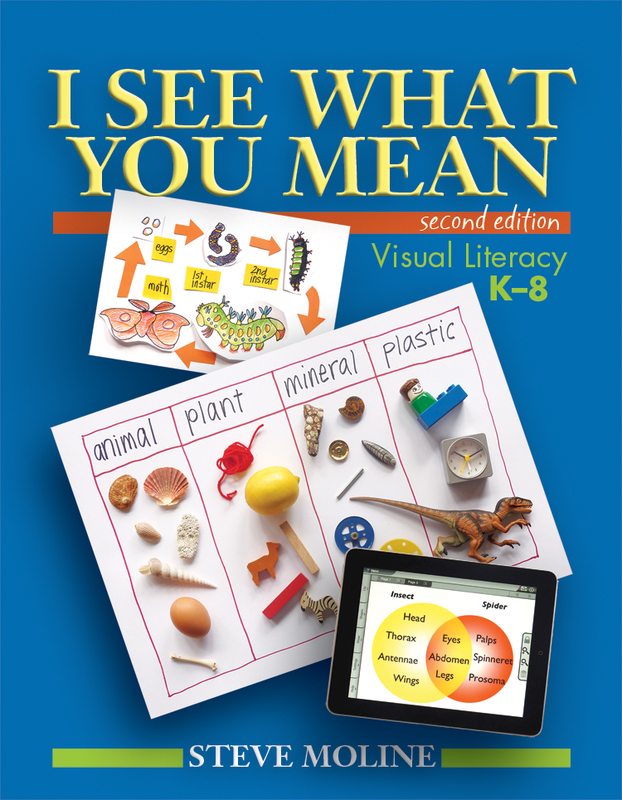 The first edition of I See What You Mean, published in 1995, was one of the first books for teachers to outline practical strategies for improving students' visual literacy. In this new and substantially revised edition, Steve continues his pioneering role by including dozens of new examples of a wide range of visual texts—from time maps and exploded diagrams to digital tools like smartphone apps and "tactile texts." In addition to the new chapters and nearly two hundred illustrations, Steve has reorganized the book in a useful teaching sequence, moving from simple to complex texts. In one research strategy, called recomposing, Steve shows how to summarize paragraphs of information not as a heap of "interesting facts" but as a diagram. The diagram can then work as a framework for students to follow when writing an essay. This overcomes the teacher's problem of "cut and paste" essays, and, by following their own diagram-summary, students have an answer to their familiar questions, "Where do I start? What do I write next?" Steve Moline is a writer, illustrator, and book designer who writes for children under the name of David Drew. He is an honors graduate in English Literature from the University of Sydney, Australia, and was for ten years the education publisher at Methuen Australia. Chapter 1: Do I Need This Book?